Headquartered in Norfolk, Virginia, Sentara Healthcare operates more than 100 sites of care including outpatient campuses, urgent care centers, advanced imaging centers, medical transport ambulances, home health and hospice services, Nightingale air ambulances, rehab and therapy centers, and nursing and assisted living centers. The 120-year-old non-profit organization manages three medical groups and employs a medical staff of 3,680. Sentara operates three assisted living villages in the Hampton Roads, Virginia, area. Combined, the three Sentara Village facilities can provide services for up to 230 residents, providing comfortable, private accommodations and social activities in a home-like setting for older adults who do not require full-time nursing care. Minter stated that they sought to find a new system that would maximize the productivity and response times by allowing their nurses to receive call bell notifications and telephone calls on a single device. “Our previous system did not have that functionality and we knew that there had to be some technology out there that would give us that capability in one device.” The system would also need to deliver exceptional range to ensure that the nurses could receive calls throughout the facility. The functionality that Sentara was searching for was found in a solution that paired the EnGenius Technologies DuraFon PRO system to a nurse call system from Jeron Electronic Systems. Sentara deployed 20 rugged DuraFon PRO handsets across the three assisted-living facilities for use by the nursing staff. 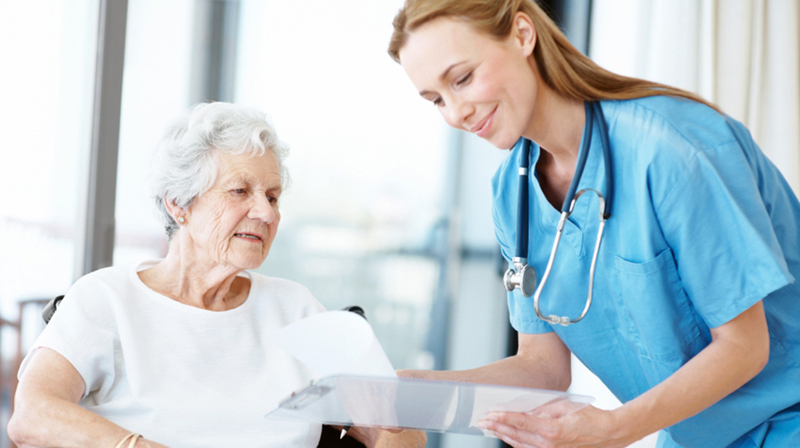 Combined with the Jeron Nurse Call Systems, the EnGenius DuraFon PRO systems ensure that residents and outside callers can contact the nursing staff regardless of where they are on the property. “The nurses are very pleased in terms of the range of the DuraFon handsets and they definitely meet their needs,” explained Minter. “We’ve never had any problems with them being out-of-range, which is particularly impressive given our expansive properties.” Minster also stated that they are pleased with the performance of the DuraFons, they plan to also provide handsets to their maintenance personnel.